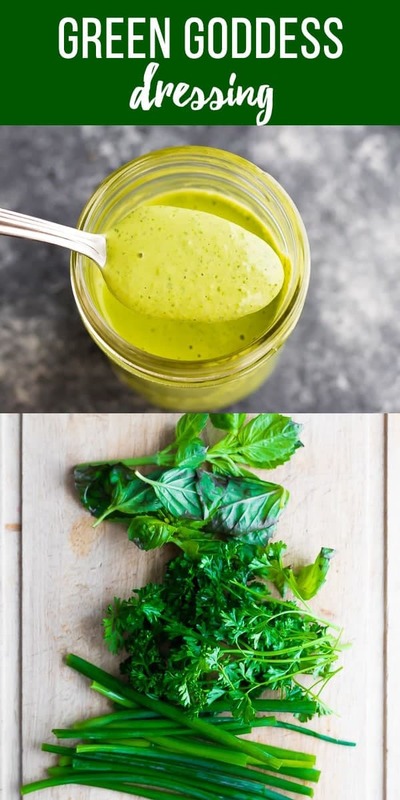 Satisfy your inner goddess with this simple green goddess dressing! With a ton of fresh herbs, tahini, lemon and garlic, this vegan dressing is great on salads or used as a dip! 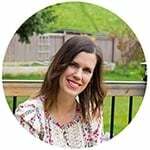 After sharing 7 Basic Vinaigrette Recipes with you, I’m off to tackle salad dressings now! 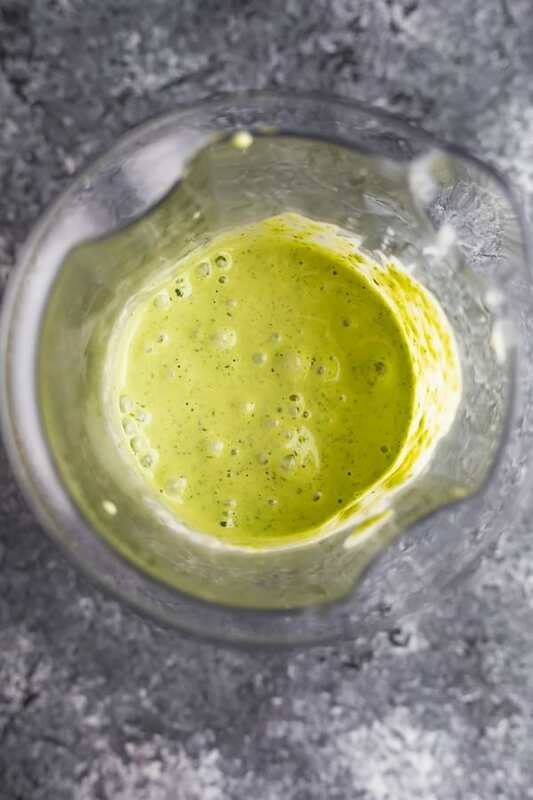 Starting off with my favorite first, because who can resist a herby-tangy-creamy-dreamy green goddess dressing that you are going to want to slather over pretty much everything?! 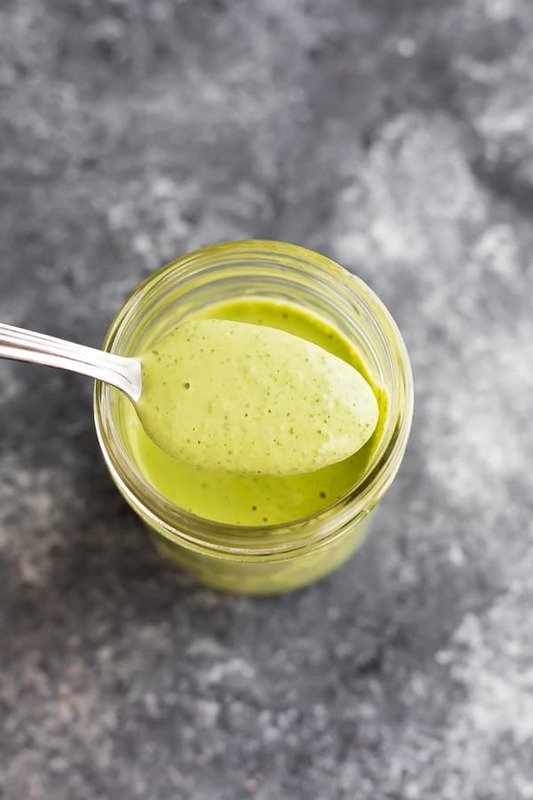 I initially tried this green goddess dressing recipe with an avocado but actually preferred it with tahini instead. It’s just creamy enough, with the perfect drizzling consistency. Not only is it delicious, but it keeps well in the fridge for up to 3 days. After that, the fresh herbs start to deteriorate a bit. You’re going to start with a whole bunch of fresh herbs for this green goddess salad dressing. I used fresh parsley, chives and basil. 1/3 cup tightly packed of each. Enjoy immediately or store for up to 3 days! What does green goddess salad dressing taste like? 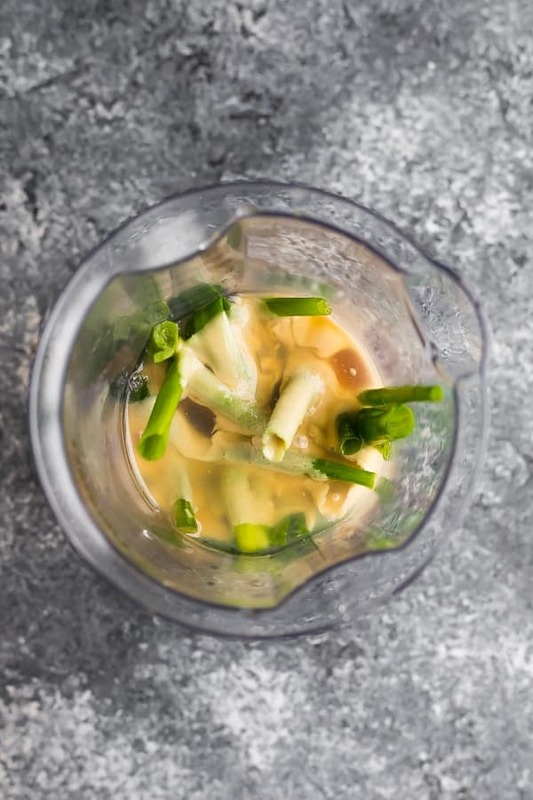 This dressing is tangy, creamy, and herby. It tastes super fresh and packs a punch of tangy flavor! What goes well with green goddess salad dressing? This dressing works well on a number of things! Can I freeze this green goddess dressing recipe? I haven’t tried but I suspect it wouldn’t work well with the fresh herbs. They may discolor and lose their ‘fresh’ ‘herby’ flavors. Combine all ingredients in the cup that comes with an immersion blender, or in a stand blender. 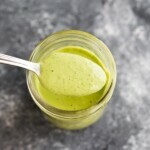 This green goddess dressing keeps up to 3 days store in an air tight container in the fridge. 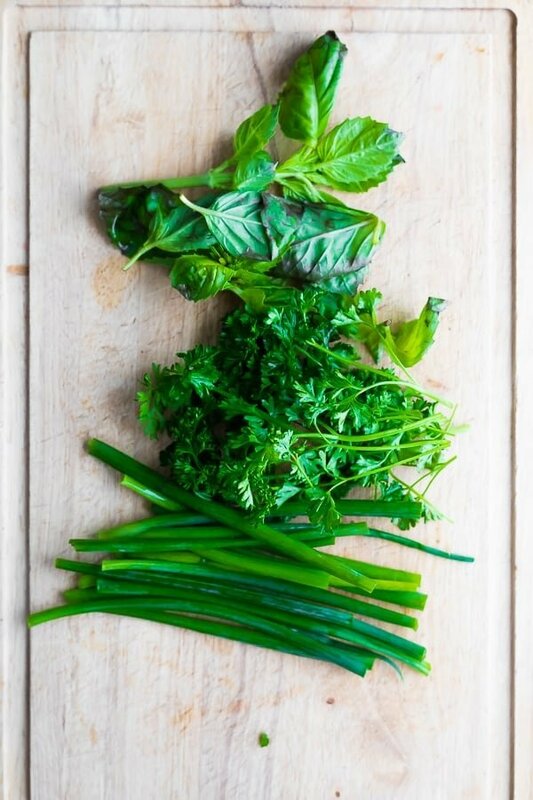 When you chop your parsley, do you use just leaves or stems as well? Hi Vicki! You could use either or both…whatever you have!